There are some who want to argue as to whether the resurrection of Jesus is “a myth” or an “historical event.” Unfortunately, I have listened to Easter preaching that simply tries to prove that the Gospel accounts of the resurrection are historically accurate, believing that Christian apologetics, defending the faith, is sufficient to transform the lives of those who hear our well-reasoned thoughts. We sing our “alleluias” because Jesus has solved the problem of our sin and guilt, and now nothing can keep us out of Heaven. We can focus on the practical nature of the resurrection that meets our needs or the supernatural and miraculous nature of the resurrection that seems to have little to do with our existence. Preaching in either direction is not helpful in the mission of making disciples. that current reality in the profound “I am” statements in the Gospel of John. Jesus tells us that he is the bread of life that came down from heaven. He is the light of the world and whoever follows him will not walk in darkness, but will have the light of life. He is the vine and we are the branches. He is the door to his kingdom, the Good Shepherd. He is the way, the truth and the life. In every way Jesus was teaching his disciples about his nature that not only entered the world but entered their lives, transforming their worldview, their identity and their existence. 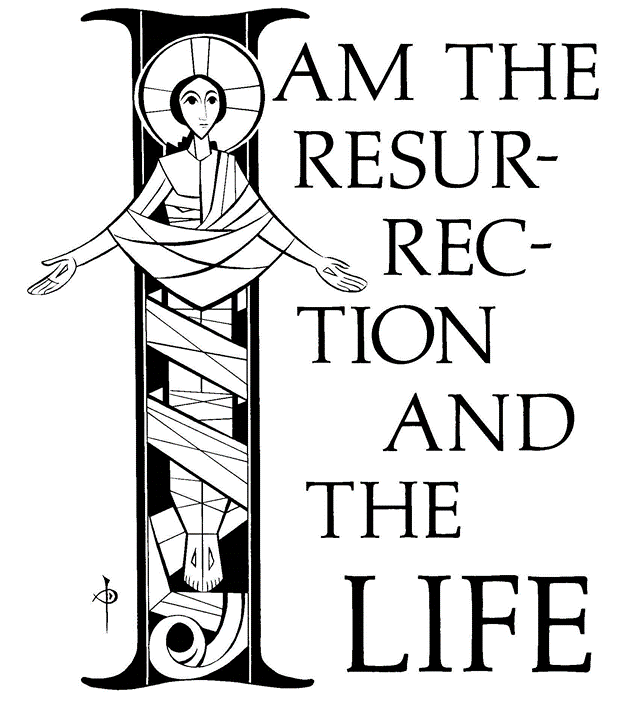 The most profound “I am” statement Jesus makes is in the context of the raising of Lazarus. You remember the story from the 11th chapter of John. Lazarus had died. Mary and Martha were grieving. Martha confronts Jesus, “Lord, if you had been here my brother would not have died.” Jesus responded, “Your brother will rise again.” Martha tells Jesus that she believes in the resurrection on the last day as a final and distant hope. 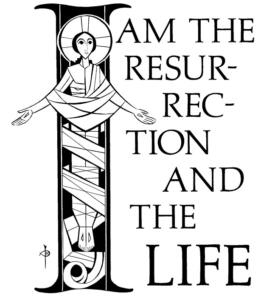 In the same way that the Eucharist is not simply a memorial retelling a story about Jesus, but Jesus’ true presence in the bread and wine of Communion, so we must also confess that Easter is not simply the retelling of a story about Jesus, but that he is the resurrection. It is just as much current reality as it is promise and our future. Through faith in Jesus the same kind of eternal life that flows through him flows through us. Through faith in Jesus we are already living our eternal life because our life is in him. In Athens, Paul bears witness to Christ as their “unknown God” who is not far away but a current reality. He is the one in whom “we live and move and have our being.” The eternal life of which Jesus speaks is not knowledge about God but an intimately interactive relationship with him. It is life in Jesus now! We are in Christ and Christ is in us. The first truth points upward; the second points downward. We must first be in him with all our being — with our sin and weakness and even with death. We know that in God’s eyes we are freed, redeemed and saved from these things through Christ. Then we must swing above and beyond ourselves in Christ. Yes, we must be totally one with Christ and his people. … Consequently, sin, death, the devil and our struggles with conscience disappear. But because the Father and Christ live, I also will live. Because Christ remains undefeated by sin and death, I also will remain undefeated. For I know that Christ is in the Father; therefore, I also am in Christ. This is the bold and profound Easter proclamation that Jesus is the eternal life and that life in him is our eternal existence. Easter is our current reality. That reality has everything to do with our daily life as his disciples.